Following the 1959 revolution in Cuba and the US trade embargo against the communist state, musicians on the Caribbean island had little chance to sell their albums abroad. But in 1996 a group of veteran musicians gathered in Havana for a unique recording session of traditional Cuban songs. Some of the artists had come out of retirement for the occasion. 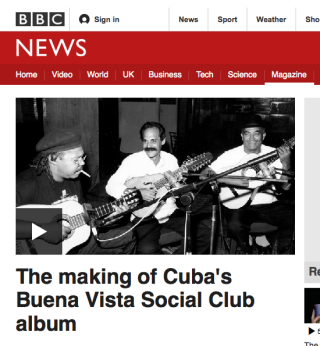 Musician Barbarito Torres spoke to Witness- BBC NEWS about the record that broke down the barriers to Cuba and its music around the world. Learn more here.